I hope your weekend and the start of the week was better than mine. I had a big shock on the weekend as I received a mail with a remark that they are taking away my drivers license for a month because some stupid guy on the street decided to call the police for me violating a red light and later on insisted to press charge against me. I am a super careful driver who drive actively over ten years and has no record of any charges, yet one person's word seem to be enough for taking away my license? If I get a lawyer, I have to pay around a thousand bucks on top of that. I am without words for how the system works *shakes head* and I have no memory of violating anything! So you know why I was so silent once again on the weekend. Today I am back with two new releases. 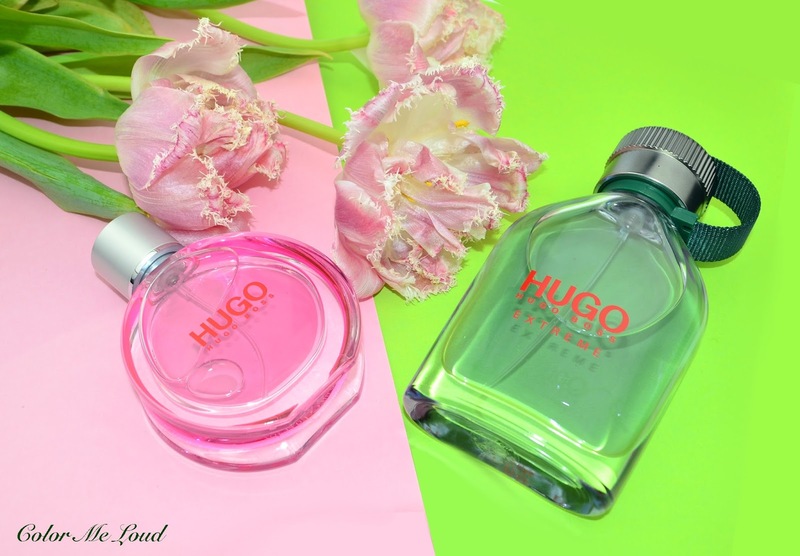 Hugo Boss revamped their signature perfumes, both female and male version. I have to admit that I used the male version of this for a few months after a friend left it to me when she was returning back to her country. I love the original Hugo Boss Man EdP. Here are my thoughts on the Extreme versions. The opening is very fruity. The green notes during the first whiffs nicely balances the sweet berry impression. As the heart reveals, sweet and fruity identity is preserved although black tea and jasmine add a touch of sophistication and berry looses its presence. The base is very soft and floral. All in all I find Hugo Boss Woman Extreme Eau de Parfum to be a office friendly scent for those who like a soft feminine green floral. I will definitely enjoy it during the hot days combined with a flower print summer dress. As I mentioned, I used to spray the original on myself and really like it but it is probably only me because Hugo Boss Man is definitely a masculine perfume, I can say this based on Thomas test *chuckles*, he is very sensitive to obvious florals in fragrances. The opening is fresh, green apple is really delicious and dry. This is how I like to see fruits in female perfumes too. Lavender is one of my favourite notes in female as well as male perfumes and I think it is very well blended here with the right amount of peppery sage and fresh and green geranium. Once the woody notes of the base starts getting more noticeable, this fragrance becomes a delight for me. I found the new version to be more masculine and less fruity than the original, hence I will enjoy it, for once, on my husband. 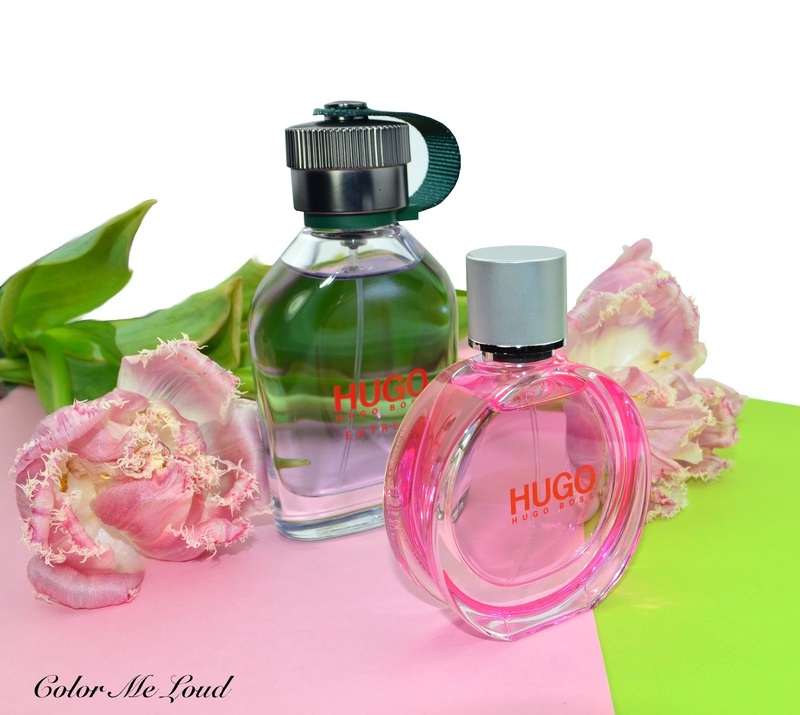 Final thoughts: The new faces with revamped flacons of Hugo Boss Woman and Man don't disappoint. I find both of the versions are to be more feminine and masculine respectively. I think Hugo Boss Man is a classic, one of my all time favourite designer perfumes for man for day time. I am loving the new version of this which is woodier and less fruity. 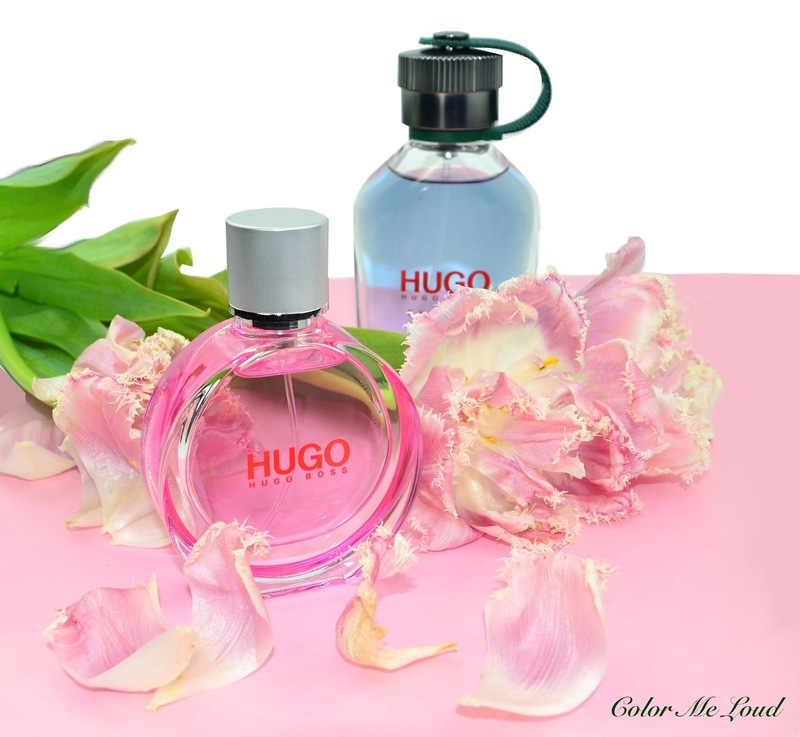 Hugo Boss Woman Extreme, Man Extreme Eau de Parfum are now available. In Europe you can order it e.g. from Flaconi (not affiliated). Do you wear perfumes which are designed to be for man as well? Oh gosh Sara, sorry to hear your license has been revoked for a month! How will you get around!?! Anyway, yes i wear men's perfume! I was wearing Giorgio Armani's Cool Water for men throughout most of my teenage years, and i still prefer men's fragrances to women's these days.